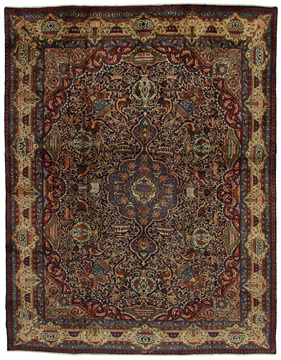 The city of Kashmar is located in the Khorasan province southwest of the city Mashad in Eastern Iran. 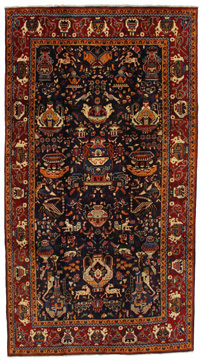 It has a very rich history and its old name is Torshiz. 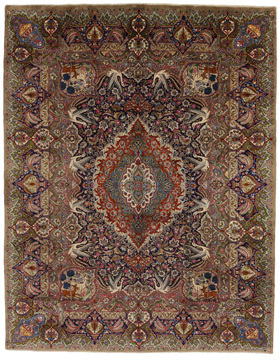 Exquisite high quality carpets have been woven for centuries there. 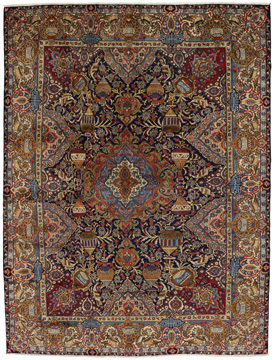 The carpets are woven thick, with fine soft wool in beautiful blue colors in contrast with cream and ivory beige. 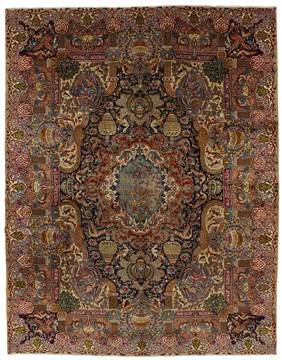 In newer carpets they use soft green, red and brown. 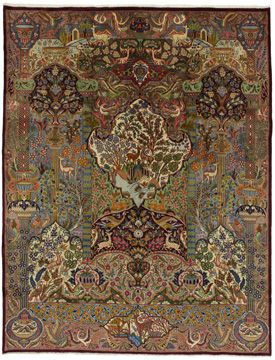 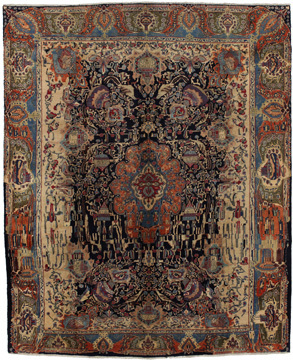 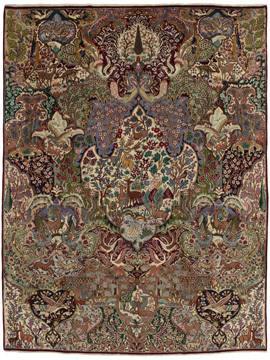 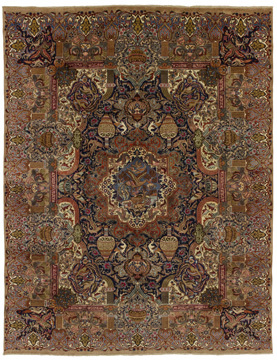 Characteristic of Kashmar carpets are the large sizes and the unique designs that look like paintings with trees, flowers and domes of mosques. 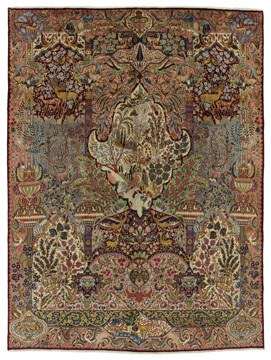 Also depicted are representations that recount historical events, major incidents from Persian history or a historically known person or the story of a revered Persian king. 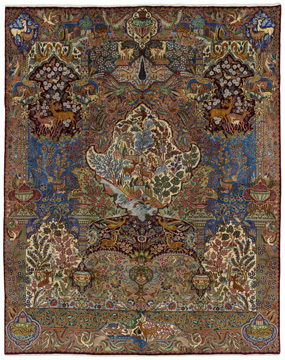 In Kashmar they weave elegant masterpieces of color harmony, complexity of designs in detail, to show the Persian love of beauty and art. 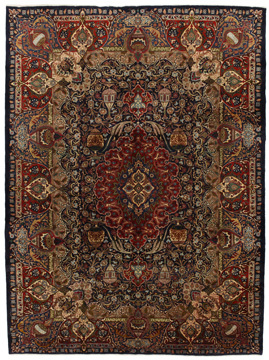 Kashmar rugs and carpets are durable and grow more beautiful with time.